Founded in the 1940s, Scarzello Giorgio et Filigo is a low-profile Barolo estate with a mere 5.5 hectares of vines, nearly half of which are in Sarmassa between the better-known Cannubi and Cerequio vineyards. Founder Giorgio replanted the Scarzello vineyards in the late 1990s. After completing his studies at the Scuola Enologica in Alba and the University of Turin, son Federico took the reins in 2001 and immediately began making improvements, all while remaining in the traditionalist camp. 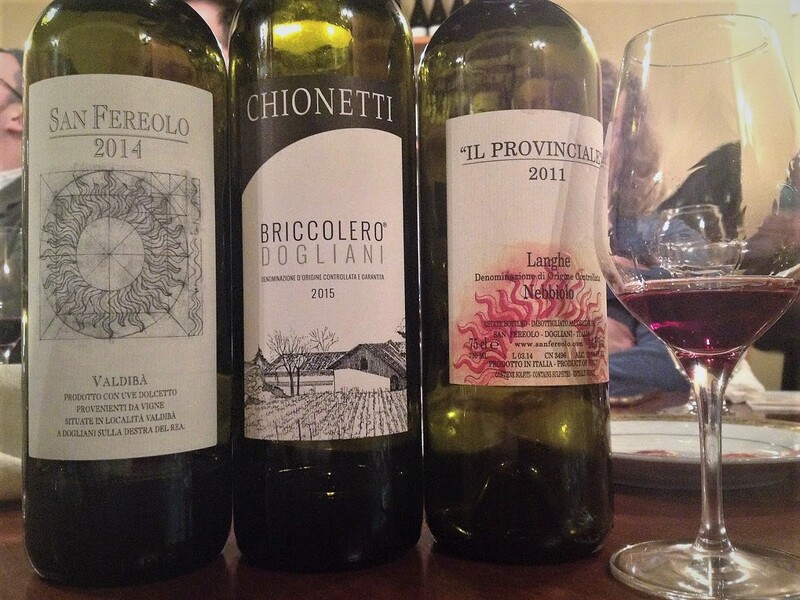 Four wines are made: a Langhe Nebbiolo, a Barbera d’Alba and two Barolos. The wines are released when Federico feels they’re ready, which is often later than his peers. 100% Nebbiolo from vines averaging 10 to 15 years old in the calcareous and clayey soil of a 0.5 ha plot in the Sarmassa vineyard. Manually harvested. Macerated about two weeks. Fermented with indigenous yeasts. Matured 12 months in 250-litre Slavonian oak botti (some but not many new, I’d guess) and another 12 months in the bottle. Reducing sugar: 1.5 g/l. 14% ABV. Quebec agent: Agence du Château. The SAQ has also just released the estate’s 2012 Barolo del Commune di Barolo ($65.00, 13679391). Based on the quality of the Langhe Nebbiolo, I’d say it’s worth a shot. 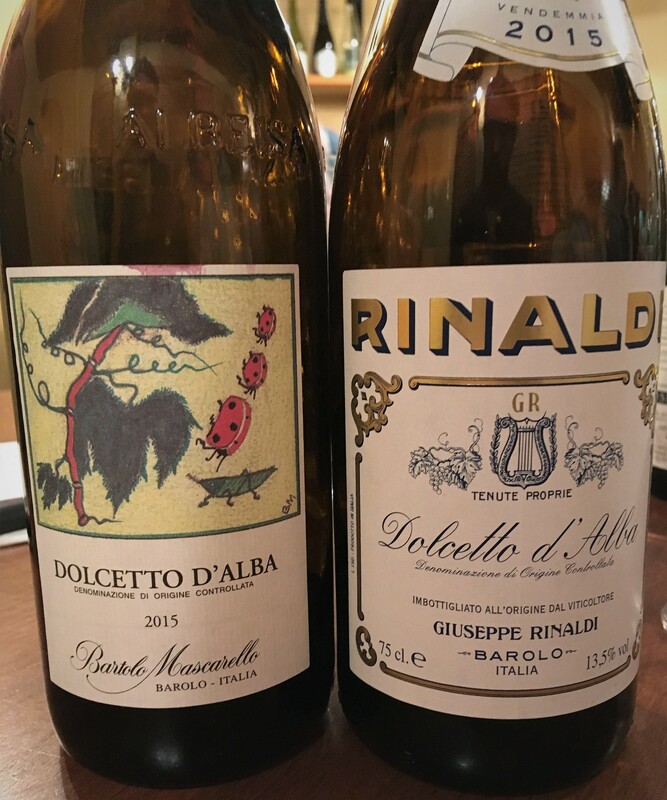 Both wines are available in limited quantities: most stores stocking them received only 12 bottles of each. If you’re interested (and you should be), act fast. And finally a side note: As you may have noticed, things have been quiet around here for a while. Faced with a crushing workload, not having the time or energy to devote the 10 to 20 hours a week required to organize twice-monthly tastings and group orders and deeply feeling the need to take a break from most thing vinous, I’ve put the Mo’ Wine Group on hold for a few months. So, while I’ve not abandoned Brett happens, posts will be infrequent, probably until the fall. Enjoy the summer! 100% Dolcetto from organically farmed vines. Fermented with indigenous yeasts in non-temperature-controlled concrete tanks with no pump-overs but with the skins and seeds kept submerged in the must. Matured one year in neutral, Slavonian oak botte. Lightly filtered before bottling. 14% ABV. The lovely label features a painting done by Bartolo when he was in his 70s. Quebec agent: oenopole. 100% Dolcetto from organically farmed vines. Fermented with indigenous yeasts in large wood vats. Matured in neutral Slavonian oak botte. 13.5% ABV. Quebec agent: oenopole. 100% Dolcetto from organically and biodynamically farmed vines averaging 15 to 35 years old. The grapes are picked by hand, destemmed and crushed. Maceration and alcoholic fermentation with indigenous yeasts last around eight days and are not temperature-controlled beyond preventing the must from exceeding 29°C. The wine is then racked into clean tanks for malolactic fermentation, followed by four months’ maturation on the fine lees. Lastly, the wine is “clarified,” bottled and aged another six to 12 months before release. Sees only stainless steel until bottling. Reducing sugar: 2.0 g/l. 13% ABV. Quebec agent: oenopole. For background on the estate, which is converting to organic farming, see here. 100% Dolcetto from vines averaging around 45 years old. Manually harvested. Destemmed. Soft-pressed. Maceration on the skins and fermentation with indigenous yeasts in temperature-controlled stainless steel tanks (29-30°C) last around two weeks. Matured around 11 months in stainless steel tanks. Cold-stabilized but not filtered before bottling. Reducing sugar: 2.5 g/l. 14% ABV. Quebec agent: oenopole. 100% Nebbiolo from organically and biodynamically farmed vines planted in the commune of Dogliani. The grapes are picked by hand, destemmed and crushed. Maceration and alcoholic fermentation with indigenous yeasts last around three weeks and take place in wooden vats. The fermentation temperature is not controlled. The wine is racked into large Slavonian oak barrels, where it matures on its lees with regular stirrings and undergoes spontaneous malolactic fermentation. Unfiltered and unfined. 14% ABV. Quebec agent: oenopole. Crossed wires meant the 2009 San Fereolo Dogliani I thought I’d ordered ended up being the 2011 Provinciale. Not a problem. For most tasters, it was the wine of the flight if not the night. Actually, a small riot nearly ensued when it was learned that the wine was sold out and that four bottles from our case were all that was available for purchase. 100% Nebbiolo from youngish vines (around 20 years old). Manually harvested. On arrival at the winery, the grapes are crushed, destemmed and transferred to tanks for two to three weeks’ maceration and fermentation. Matured 30 to 36 months in 35-hectolitre French oak barrels and six to 12 months in the bottle. Reducing sugar: 1.6 g/l. 14.5% ABV. Quebec agent: Sélections Fréchette. My bottle was a generous gift from a Mo’ Wine Group member. Merci Julien !